As any Indian girl worth her masala* will tell you, she’s grown up using black eyeliner. Hell, most of us had kajal lining our eyes from the ages of approximately zero to ward off the evil spirits. The doe-eyed and feline flick is a look we grew up with, watching our favourite Bollywood actresses lip-syncing their way through their inimitable films, and it’s probably the very first thing we tried when applying makeup in our teenage years. So I can be quite picky when it comes to choosing what is going to define and line my peepers. There’s a few newbies recently added to the stash so I thought I’d do a quick round up for you, with my initial thoughts. 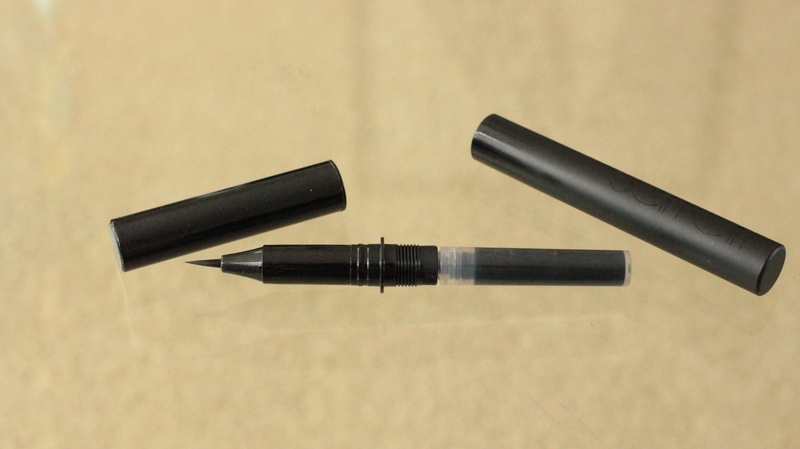 Surratt Beauty Autographique Liner in Chat Noir: I’ve already raved about this liner on past posts, and if you’re following me on Instagram (here), you’ll already know about my love for this ingenious liner pen. A super-fine felt pen with a fountain pen cartridge delivery, so that it’s easily refillable, if you’re after delicate definition at the lash line, this is the one for you. And if you prefer a thicker line, just turn the pen on its side to get the effect you’re after. 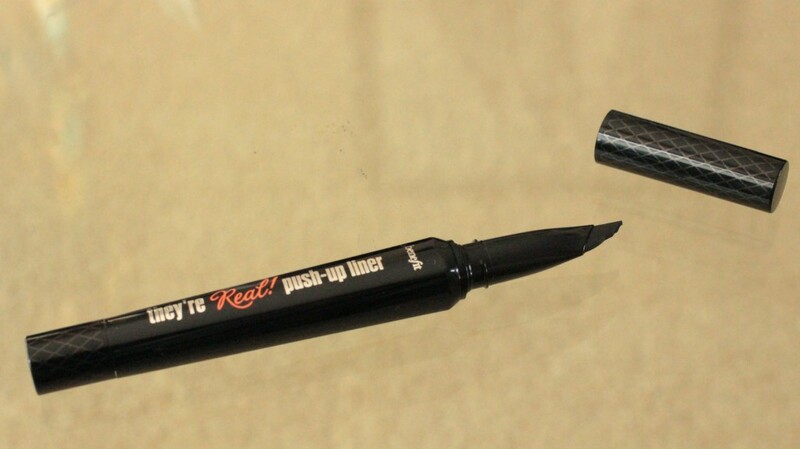 Benefit They’re Real Push-Up Liner: There’s been so much hype about this, I’d be surprised if you haven’t tried it already. 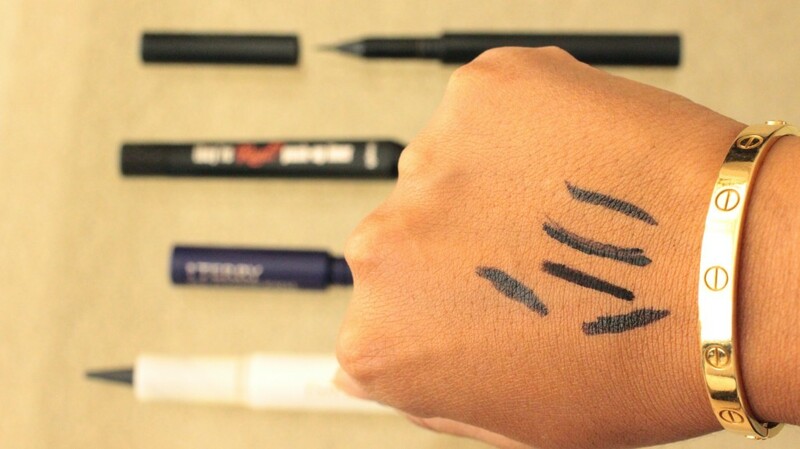 Praised for not smudging or budging, it’s also a bu**er to remove, but if you like your liner to stay put around your eyes and not travel down your cheeks, then this is the one to go for. The nib looks like a calligraphy pen, with the product pushed into the end by twisting up the other end. Application takes some getting used to, and it’s worth taking the time to push this down into your lash line. 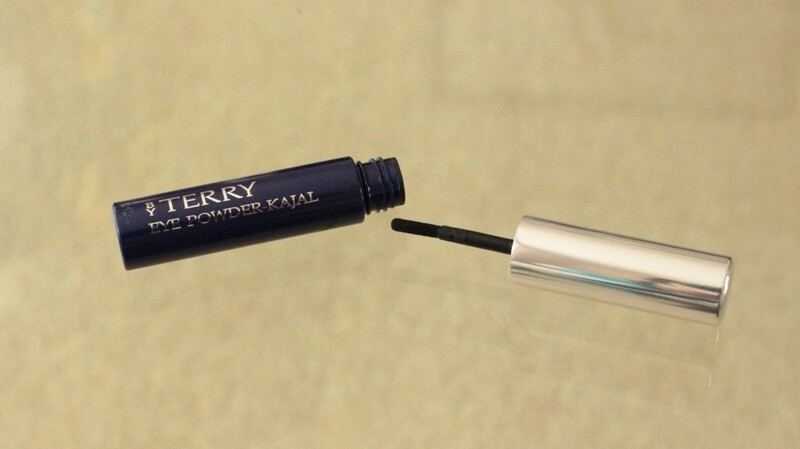 By Terry Eye Powder Kajal: Small but perfectly formed – and no I’m not talking about me (of course, I jest!) There may only be one gram of (loose powder) product in this tiny little tube, but it’s so intense and so very black that you only need to use a tiny amount for killer eyes. Wear it along the lash line for definition and thicker looking lashes, or smudge it out for more smokey effect. 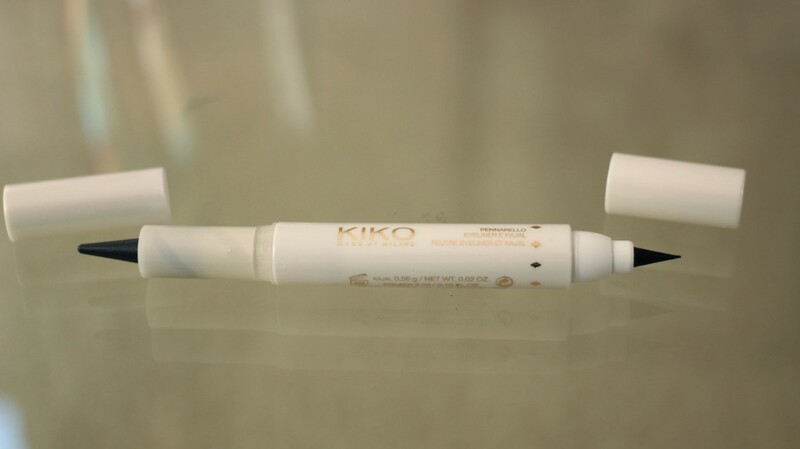 Once it’s on, it stays put and there’s no flakiness, neither on your eyes or on your dressing table as you open the tube. Just like my mother wears, but infinitely better. And did I say, this one is definitely the blackest of the bunch. KIKO All-In Eye Marker and Kajal: For those who just can’t decide if they’re a liquid liner or kajal kinda gal, this is the one for you. Coming to stores very soon and part of the A/W14 Daring Game collection, this double ended wand that hosts a solid kajal stick at one end with a felt-tip liner at the other. 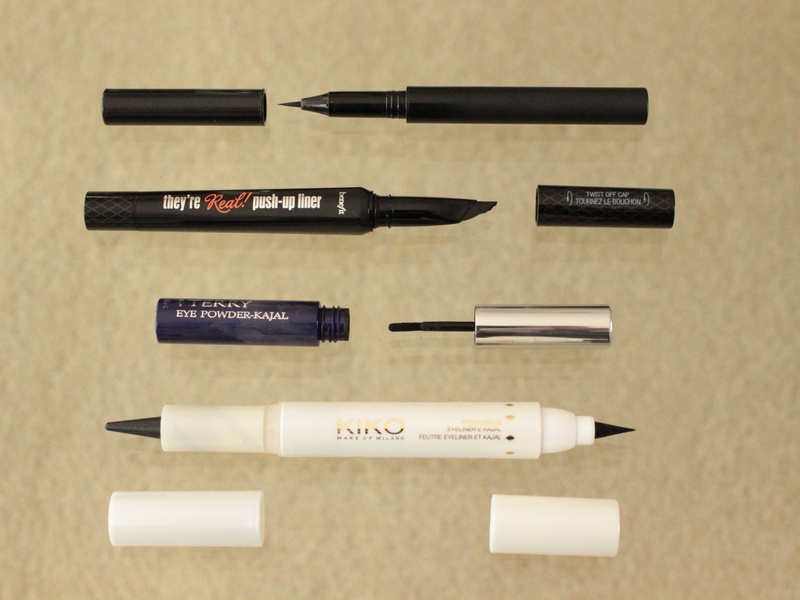 Use one or other for a simple, clean quickly defined eye, the kajal giving a slightly softer look and the felt pen a more define, 1950’s style. Or go large with both, using the kajal to smoke out the outer lid and on the inter waterline, and the felt pen to double define. I’ll be using these over the next week and posting my looks (and my verdicts) on my Instagram, so make sure you’re following here – link!